On booking your tour, you will receive a special discount code from us to use on another ´From Madrid´ guided tour (Segovia, Ribera del Duero, Toledo and Madrid). 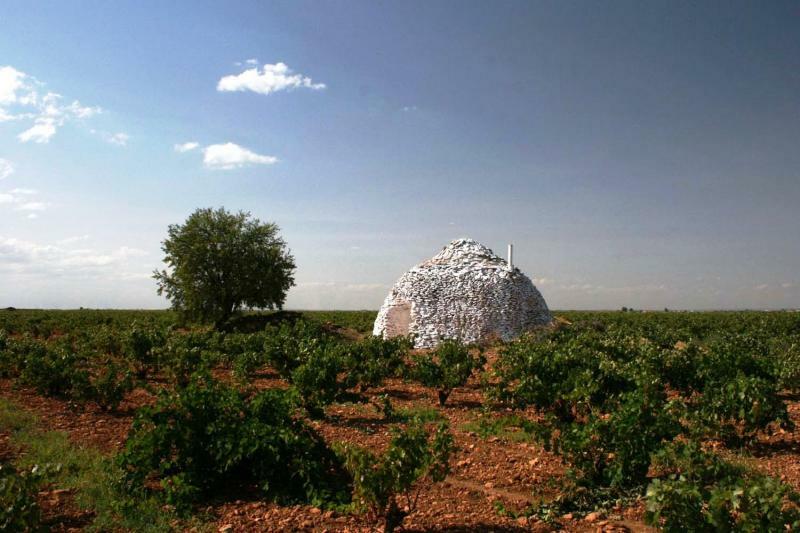 Winetourismspain.com is the most secure, easiest and fastest way of experiencing the fantastic La Mancha culture, gastronomy and wine during your stay in Madrid. Not only can we save you the time and effort of organising your trip in English, but we can also offer you the opportunity to explore the area in luxury and comfort with your own experienced senior guide for day, and really get to know the culture, history and wine production traditions of the area. 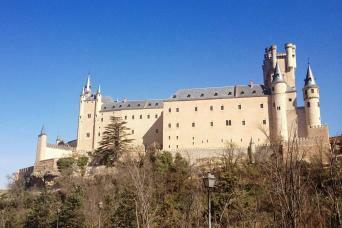 Departure time is typically at 8:30am from your hotel in Madrid, where you will be picked up by your guide. Your guide will be in touch with you once you have reserved to confirm your exact location and other details. Please let us know if you have any food allergies or dietary preferences. We would also appreciate any information about your current level of wine knowledge and what you are most interested in about wine, so that we can tailor the tour to you. 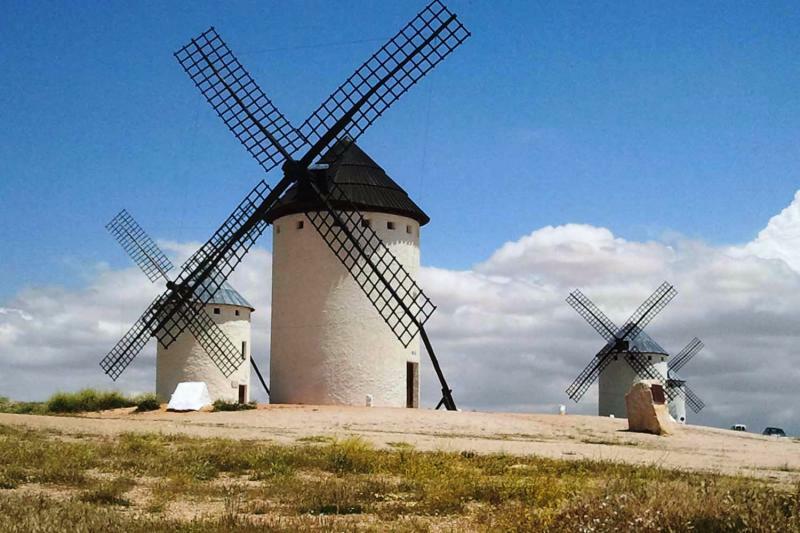 This tour offers a unique experience to get to know in depth the heart of the mythical region of La Mancha; the land of Don Quixote and of Windmills. This tour is offered only for very small groups (2-7 people) to ensure that you make the most of the experience. 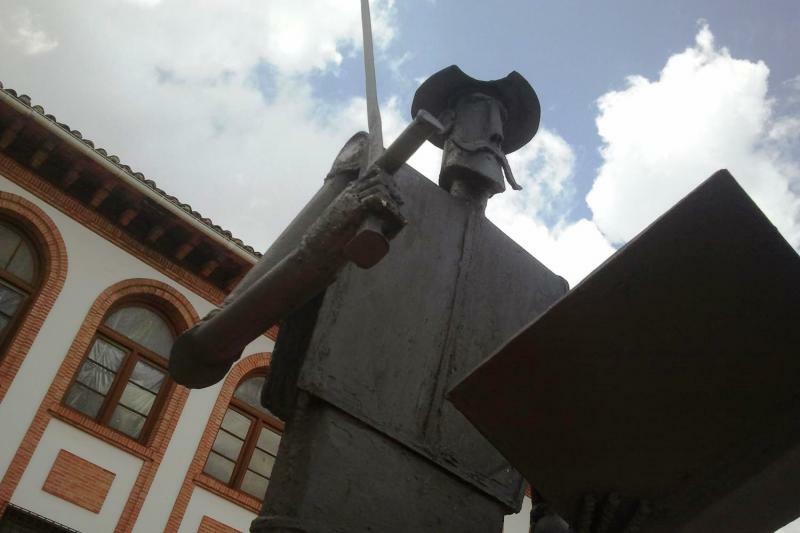 A very experienced and friendly guide will share with you insights into the history of Spain and La Mancha. 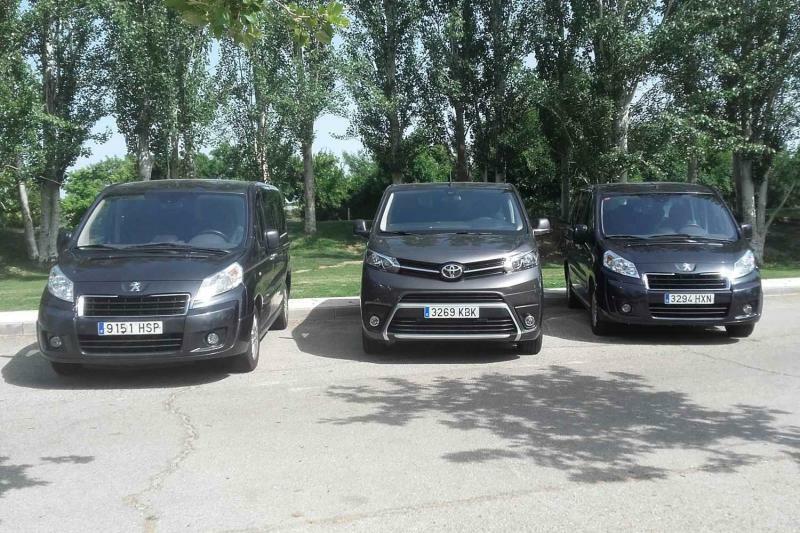 After being picked up from your hotel, you will make your first stop in the town of Aranjuez. The Royal palace was built here during the reign of Philip II, and the palace and gardens were declared a UNESCO World Heritage Site in 2001. Next, you will visit your first winery, a very modern estate, where you will tour the different areas of the winery and learn about wine production in La Mancha wine region. 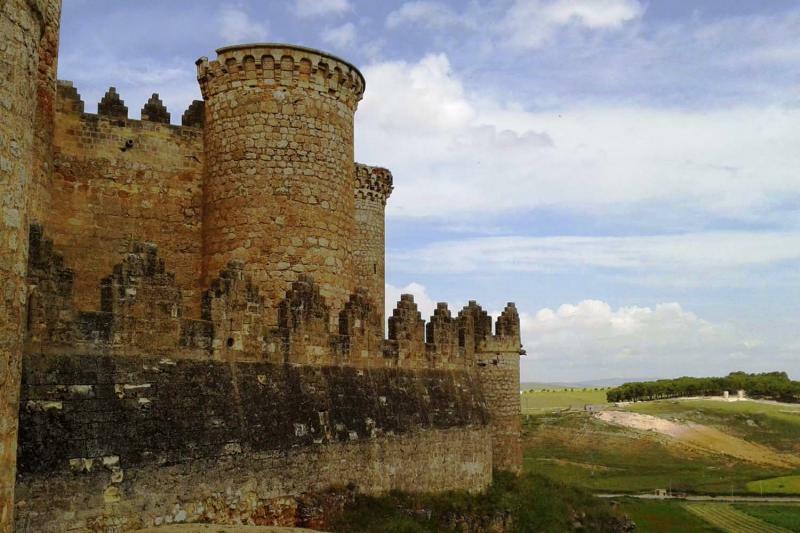 After wine tasting and finalizing your first winery visit, you will head to the famous Gothic-Mudejar Belmonte Castle, which has been portrayed in many different films. 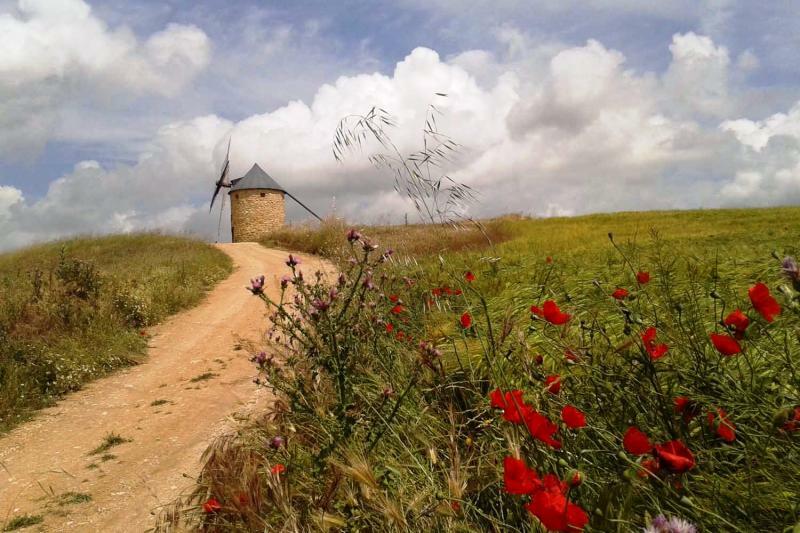 Then we will visit the typical windmills of Mota del Cuervo where you will get to see them up close and possibly visit one of them. 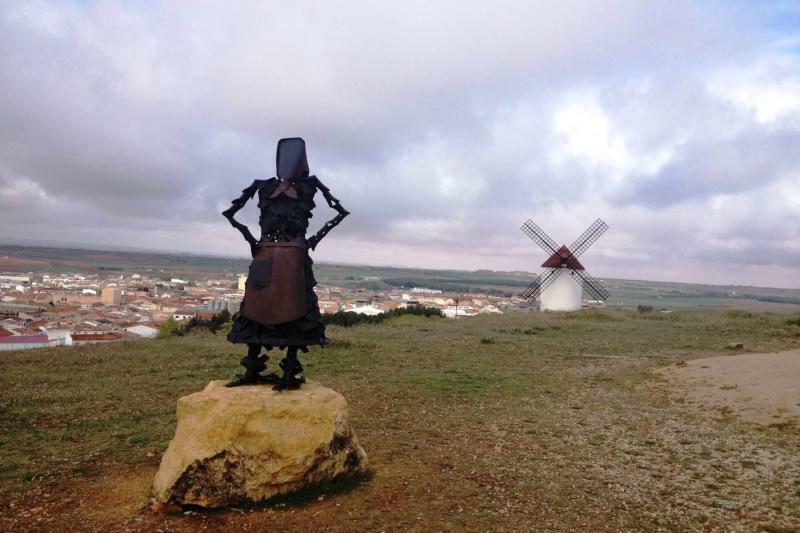 Afterwards, we will make our way to Campo de Criptana, whose windmills are known to be the ones that inspired Miguel de Cervantes when writing Don Quixote. 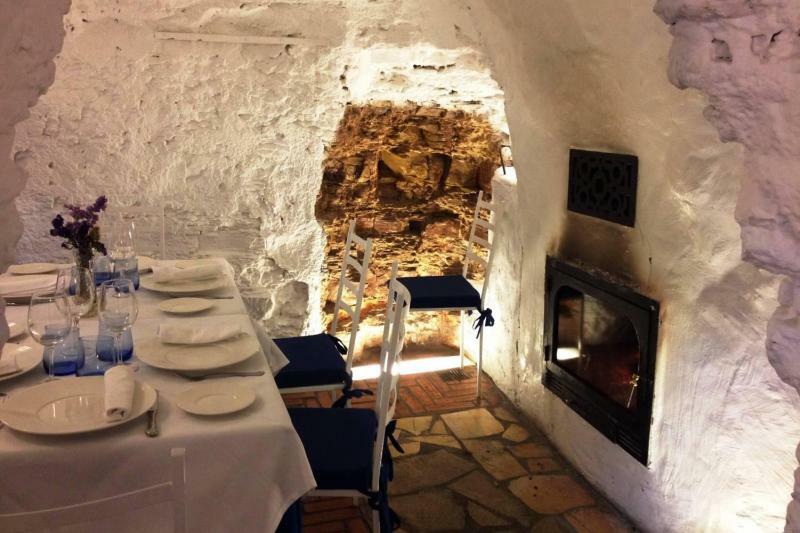 We will have a delicious lunch of local gastronomy , where you will taste several courses of Manchego cuisine, complete with dessert, wine, and coffee. 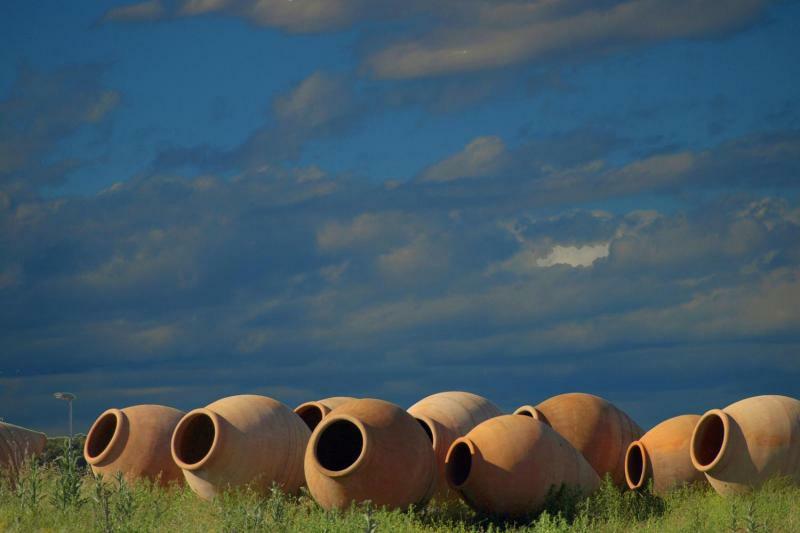 In order to understand La Mancha as a wine producing region, a visit to a local traditional family winery is a must. 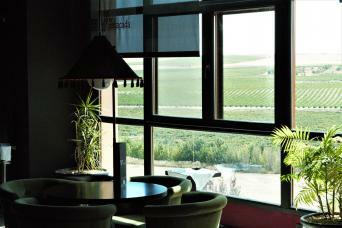 La Mancha is the world´s largest wine producing region and vineyards are found everywhere. At your next winery visit of a local winery, the owner himself will explain the wine-making process and you will witness firsthand the passion of his family in the wine-making business. Before the end of the visit, you will enjoy a high quality wine tasting session alongside tastings of olive oil, Manchego cheese, and other local products. 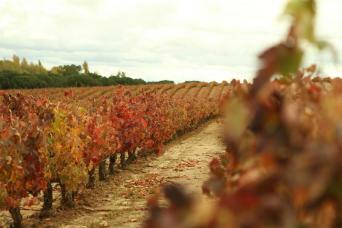 A complete day of wine, landscapes, gastronomy, history, and fun! 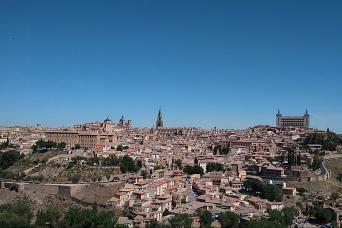 You will be dropped off at your hotel with good memories of La Mancha. The trip was well planned, and we had enough time to really enjoy everything… the entire day was great, and comfortable. Windmills were beautiful, the winery tours, tasting and education we received at La Bodega was absolutely wonderful. Our host was very personable, and had a wonderful way of educating us about the wine, grapes and our wine tasting buds/senses – this I especially felt was good because I have been to several wineries and this was very relaxed and non-pretentious – I learned quite a bit.